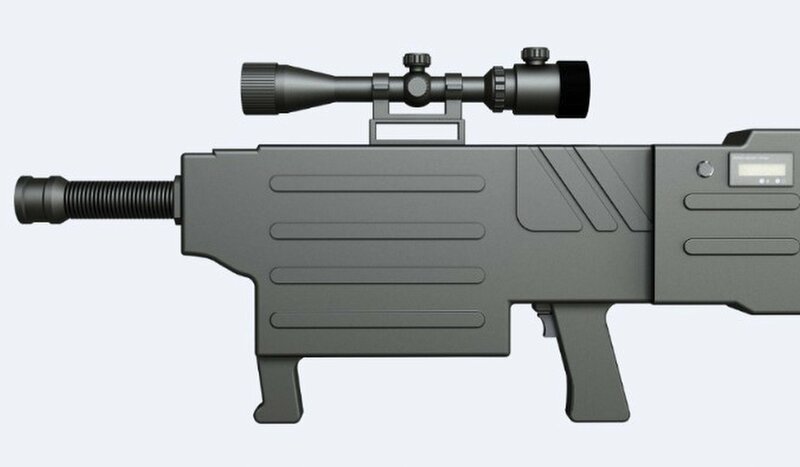 The ZKZM-500 laser assault rifle is classified as being “non-lethal” but produces an energy beam that cannot be seen by the naked eye but can pass through windows and cause the “instant carbonisation” of human skin and tissues. Ten years ago its capabilities would have been the preserve of sci-fi films, but one laser weapons scientist said the new device is able to “burn through clothes in a split second … If the fabric is flammable, the whole person will be set on fire”. “The pain will be beyond endurance,” according to the researcher who had took part in the development and field testing of a prototype at the Xian Institute of Optics and Precision Mechanics at the Chinese Academy of Sciences in Shaanxi province. It could also be used in covert military operations. The beam is powerful enough to burn through a gas tank and ignite the fuel storage facility in a military airport. If you like researching and owning guns but haven’t get in to it, this might be a bit to heavy to get, you can start with a only bb guns to feel how it is and then get one of this awesome instruments. Because the laser has been tuned to an invisible frequency, and it produces absolutely no sound, “nobody will know where the attack came from. It will look like an accident,” another researcher said. The scientists requested not to be named due to the sensitivity of the project. The rifles will be powered by a rechargeable lithium battery pack similar to those found in smartphones. It can fire more than 1,000 “shots”, each lasting no more than two seconds.